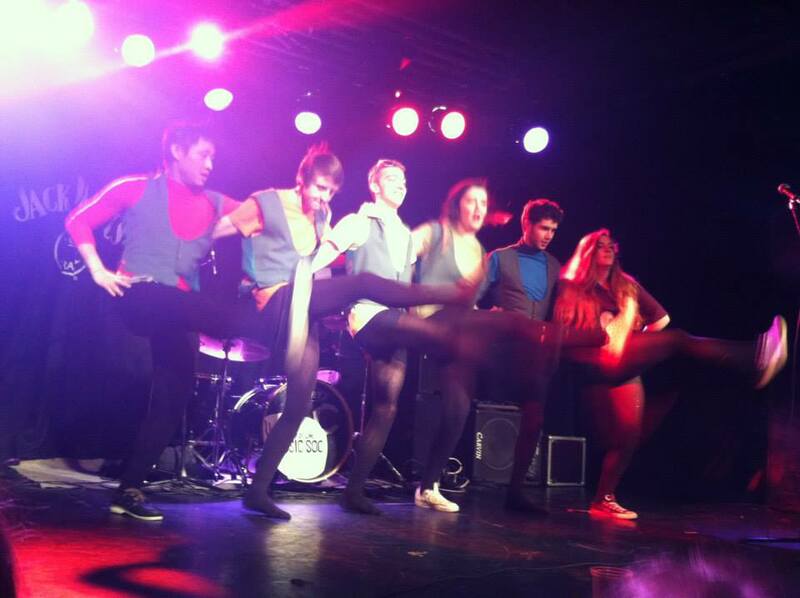 On the 4th April 2014, we held our 11th annual Queerbash! This years theme was Step Into Our Time Capsule! We had Photo Soc taking photos of the first 100 people through the door, and they were hung up in a chalked photo frame through the night. Many people went all out with their costumes from a 70’s punk rocker to a Scarlott O’Hara/Hammilton/Kennedy/Butler. From an 80’s private eye and his spunky pop star sidekick to a 1920’s flapper girl. We had clocks everywhere, feather boas, banners and a countdown timer. The first 200 people were also allowed to write a message on the wall in chalk that was left there for the night. 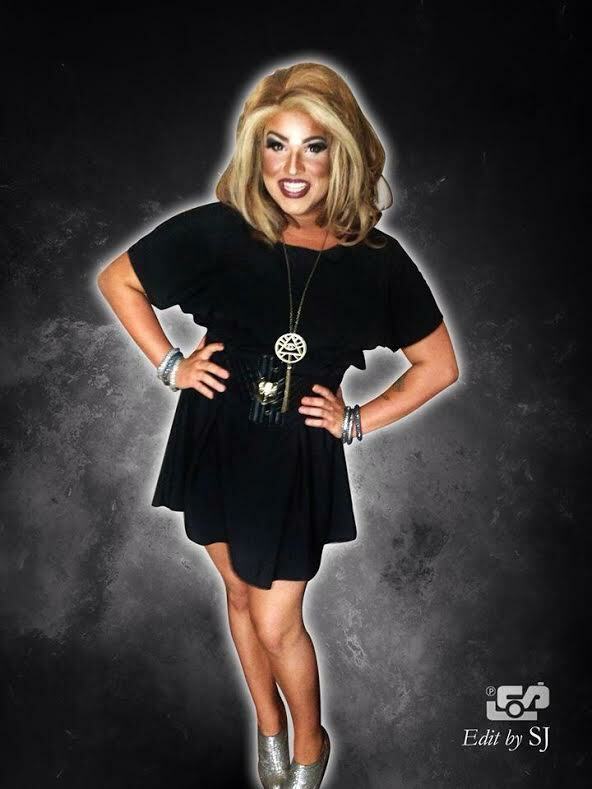 The night was hosted by the alternative princess of Ireland, Candy Warhol. Winner of The Devine Apprentice and a regular performer in Dublin. This was Candy’s fourth year at Queerbash! She was joined by Rusty Hinges, one of Belfast’s biggest queens! Rusty is a regular performer at The Kremlin and winner of Opportunity Frocks! 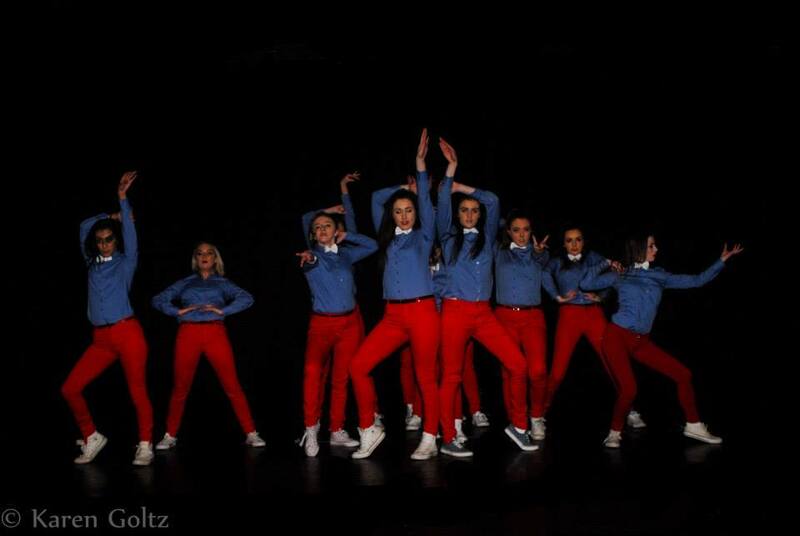 This year as well, we have performances from Dance UL, who danced their winning number from the inter-varsities. Can you believe guys, it’s been 11 years since Paddy McHugh began Queerbash? It’s been such a success and each year we are incredibly grateful to the event and you for helping us get this far. 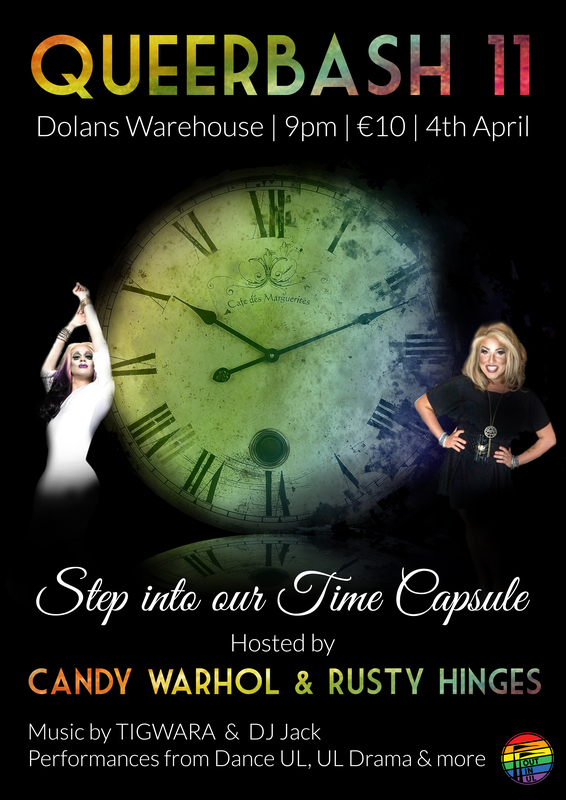 April 7, 2014 June 23, 2014 2014, 4th april, april, Bants, C&S, candy warhol, Chat, cher, clock, Costelloes DJ, dance ul, dj formerly known as jack brolly jack brolly, DJ jack brolly, dolans, drag, Events, gay, lesbisan, Pride, queer, Queerbash, queerbash 11, rusty hinges, scarlott o hara, skinni colin, step into our time capsule, straight, tigwara, time, time capsule, ul drama soc, warehouse, YAY!